India 5 Traits of Civilization - HISTORY'S HISTORIESYou are history. We are the future. The domestication of crops and animals is called agriculture. Before the rise of agriculture, people were nomadic hunter-gatherers. That is, they moved according to the season in search of food. The rise of agriculture allowed people to give up their nomadic, hunter-gatherer lifestyles and settle into villages. As agricultural techniques improved, farmers sometimes produced surpluses. For example, farmers might grow more than what their families or villages could use. The extra was an economic surplus. Surpluses in early farming villages were not limited to food but might also include cloth and other products such as wool or animal skins. Surpluses helped villages survive bad seasons. 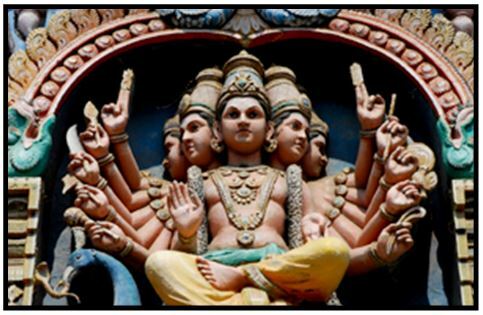 Review: What ancient civilization began along the banks of the Indus and Saraswati Rivers? As farmers began to produce more surpluses, villages did not need as many farmers to grow food. As a consequence, some people began specializing in other types of work such as making pottery or weaving cloth. Specialized workers also created surpluses and traded their goods for food or other services. As life in villages became more complex, the types of specialized jobs grew. In addition to farmers and craftsmen, specialized workers in complex villages included holy people and, eventually, government. In this way, surpluses encouraged the growth of populations and increased trade. As this happened, more people decided to settle into these communities. The villages soon grew larger and became cities. Because of that series of events, it can be said that surpluses are the first step on the way to civilization. It wasn't long before city leaders had to come up with ways to organize workers to solve civic problems, such as building public structures and cleaning irrigation canals. As the cities became more populated, more types of specialized workers were needed and society and culture became more complex. These changes led to an advanced type of culture called civilization. The words city, and civilization both share a common Latin root that is related to the idea of citizen. Historians think the first civilization arose along the banks of the Tigris and Euphrates rivers about 3300 BCE in Sumer, which is in southern Mesopotamia, where Iraq is today. 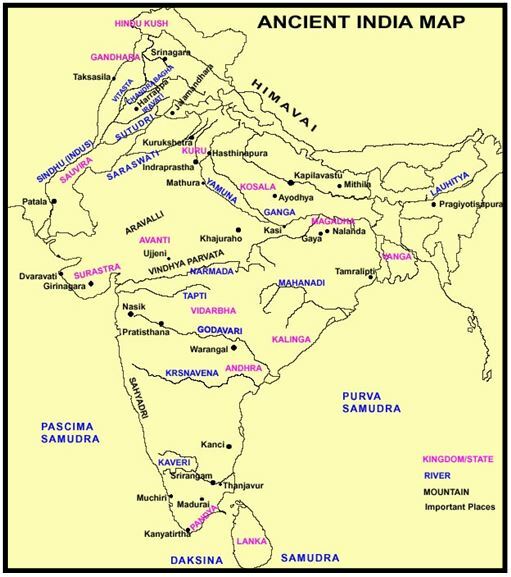 By 2500 BCE Indian civilization was flourishing along the banks of the Indus and Saraswati rivers. In fact, even larger than either Egypt or Mesopotamia, the Indus Valley civilization was, at the time, the largest of the ancient world. What role do surpluses play in the development of civilization? Traits of Civilization: The five traits that characterize civilization are: specialized workers, complex institutions, record keeping, advanced technology, and advanced cities. 1) Specialized Workers: The larger populations of a city demand that more food be produced. In general, a society needs food surpluses before civilization can develop. Having food surpluses allowed some people to do other types of work besides farming. When societies have food surpluses, workers can specialize in jobs that require special skills. For instance, ancient Indian workers built houses, sewed clothes, created pottery, and cooperated on building public projects such as temples and sewer systems. With so many needs and such a variety of workers, some people took on the job of organizing society. In early civilizations, priests usually did that job. 2) Complex Institutions: In time, religion and government became institutions. An institution is a group of people who share a specific purpose. For instance, education is an institution. Everyone who works in education has a common goal to educate a population. Religion is an institution that helps a population meet its spiritual needs. An army is an institution that helps a society meet its security needs. Too often, when we think of the word, "institution," we think of a building. It's important to remember that institutions are organizations and organizations are made up of people. 3) Record Keeping: Societies must keep track of many things. For example, rulers may want to measure the amount of surpluses stored in the city. Keeping records usually involves writing, but not always. We know that the earliest settlers in ancient India, kept records. Because scientists have yet to translate their script, however, their writing remains a mystery to us. 4) Advanced Technology: Societies advance as people learn better ways to do things. For example, the people who settled in ancient India learned to use canals to irrigate crops, providing them with a more robust harvest that led directly to food surpluses. They also made great advances working with metals and in the fields of science, mathematics, and medicine. 5) Advanced Cities: Civilization is closely linked to life in cities. At first, cities became important because farmers needed a place to store and trade their surplus grain. As cities grew, however, they began to offer other advantages such as temples to pray in and protection from outside threats. Because of the various services that a city provided, cities also offered many different types of work. Ancient India had some of the world's earliest and most advanced cities - cities such as Harappa and Mohenjo Daro, which you will read about in your next lesson. As civilization took hold in ancient India cities developed across the sub-continent, mostly along the banks of rivers like the Indus, the Saraswati and, later, the Ganga. Which of the 5 Traits must be present for a culture to be called a civilization?